With this album Fatboy Slim finally gets the balance right between mass appeal and Big Beat music. This is an album which can be enjoyed not just in a dance music context but generally. The result of this is the fact that the album has become so popular that very little in it feels actually new. The singles have all been played to exhaustion and you've probably heard most other tracks in a variety of contexts, from adverts to the dancefloor. That being said the album clearly deserves its popularity within the context where it was born. It is one of the most immediately appealing if not the most immediately appealing of any big beat album. And the sampling is pretty fluid and great never getting boring, one of the major faults of other albums in the genre. 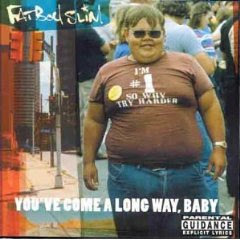 The title of the album is a marketing slogan for Virginia Slims cigarettes, similar to Fatboy Slim's first album which borrowed DuPont's Better Living Through Chemistry tagline for its title.